Recorded in 1967 but shelved at the time and then only released in Germany some twenty years later, this would have been the third solo album for MGM from country music's first true idiosyncratic genius. 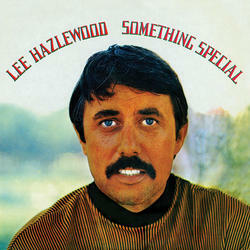 Hazlewood's unique blend of country, pop, jazz, folk and blues can be found here but with songs that are even slighty more off-the-wall than usual, perhaps explaining the reluctance on the part of MGM to release the record. The most outsider record from country music's legendary outsider artist. Classic.